The strength and conditioning program is a five-phase progressive program that is based on scientific research with certified and experienced coaches. Each phase lasts one month and should begin five months prior to an athlete’s first game. The main focus is on injury prevention and then optimum performance training. 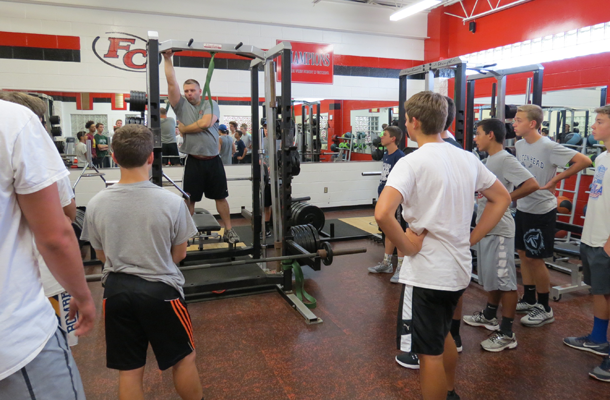 Training occurs throughout the year and is provided as a free service for all interscholastic athletes at Fox Chapel Area High School. Student-athletes are strongly encouraged to take advantage of this opportunity as it not only can benefit them as athletes but it will build a solid foundation for a healthy lifestyle.